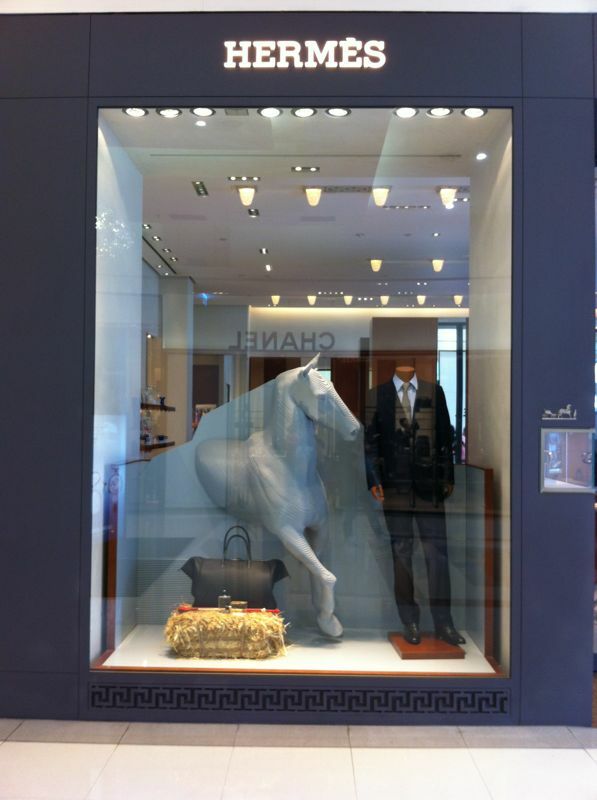 Once upon a time before the existence of Hermes Birkin, Kelly, or Lindy bags and the beautiful-colorful Hermes silk scarves, the world of equestrian, a.k.a horse, is the core business of Hermes. Every royal horse or professional athlete has the saddle or other tools made by this legendari Parisian house. 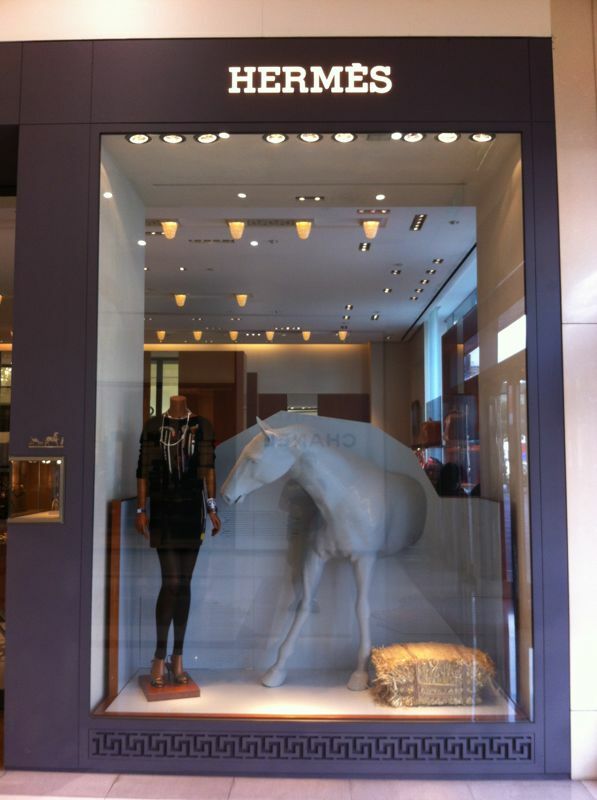 This basic inspiration of Hermes is now celebrated at Hermes Sogo Fuxing boutique at Taipei, Taiwan. There are female and male horses, each for women and men collection windows. 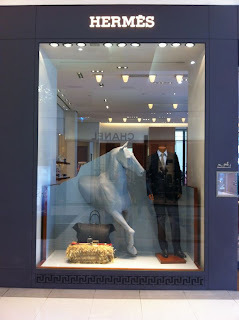 The horses look so lively and elegance just what Hermes means and synonymous to. A stack of hays lay on the ground that make the window looks more vivid and warm.